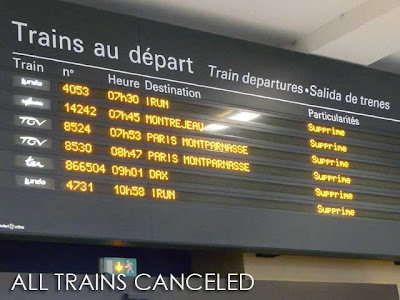 I never thought I’d get affected by a train strike in France. We always hear about these strikes in the news. But since we’re thousands of miles away, it never really affected us. I should be in Bordeaux by now. But unfortunately, I’m stuck in Hendaye, the first train station after the border between Spain and France. Everything was going as planned. I left Madrid Chamartin at 10:30 p.m. and got off at Valladolid Campo Grande at 1:20 a.m. to change trains. 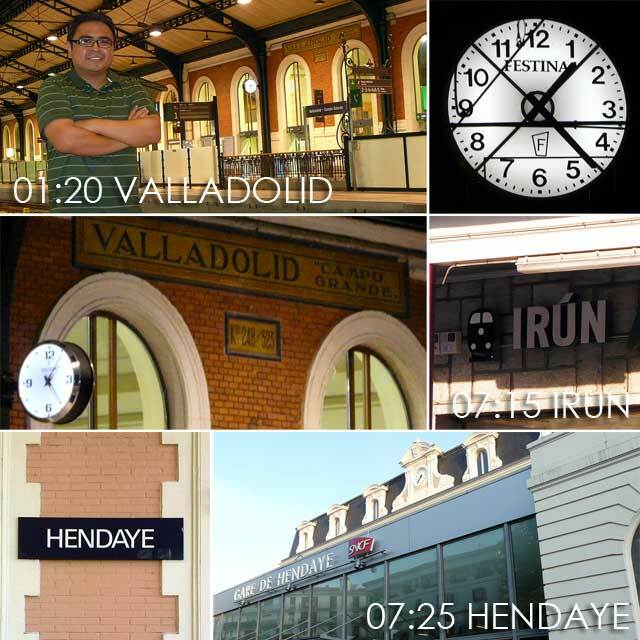 Then I boarded the train for Hendaye at 1:54 a.m. It all worked like clockwork. Trains left on time and arrived on time. We were scheduled to arrive in Hendaye at 7:10 a.m. where I was to change trains for Bordeaux. I was a bit groggy but I noticed we stopped moving at about 7 a.m. at Irun, the last station of Spain. By 7:10 a.m., passengers were getting restless. Obviously, we all had trains to catch in Hendaye. 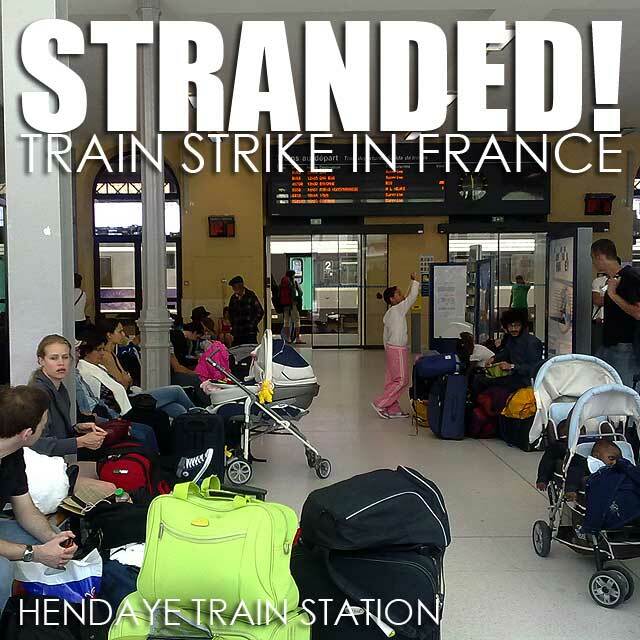 Then came in one of the train staff announcing that the train could move no further and would not be able to proceed to Hendaye because of a train strike in France! We were advised to get off and take a taxi to Hendaye which was nearby. The taxi cost was €11,50 which I got to share with three other passengers. We crossed the invisible border, so invisible in fact that I did not realize were already in France until the driver pointed to the Hendaye Station. 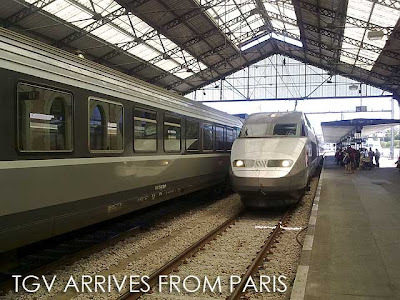 So I’m stuck here in Hendaye, no train to Bordeaux, hoping to get on board a 2:10 p.m. provisional TGV to Paris that will pick up all the stranded passengers along the way. Unfortunately, there are no buses. I had this wild idea since I saw an Avis car rental across the street. 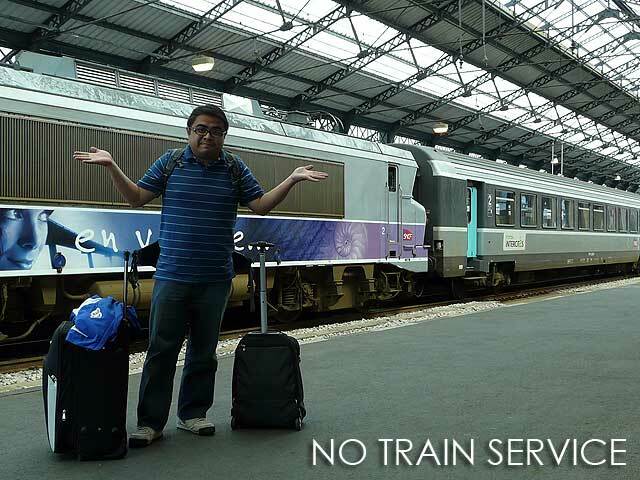 But there were no available cars. Crap! I’m really stuck! 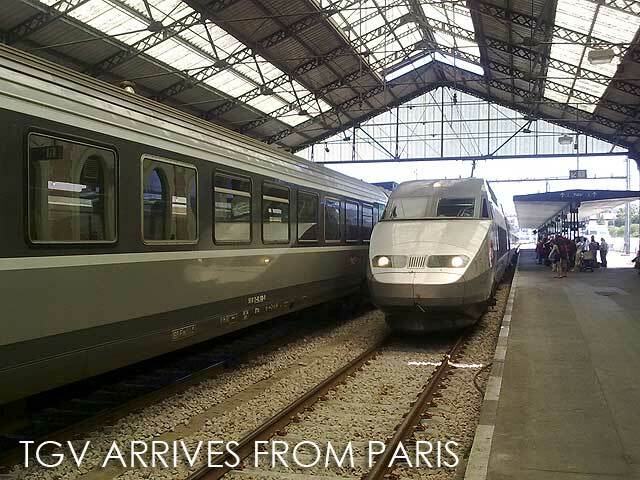 Update: The TGV did arrive and I'm now in Bordeaux! Cool.. sounds like you're having quite an adventure out there! 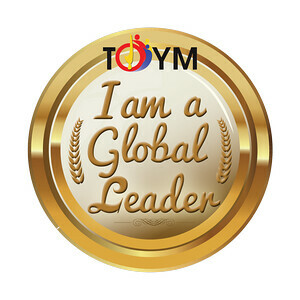 :-) Keep the updates coming! I was going to the other direction. I did find a bus to Irun so didn't get stuck to Hendaye.